As an Authorised Renault 'R1' Service Dealer, we can supply new vehicles from the entire range of Renault trucks and vans. We have access to a large number of used vehicles. Please contact us with your requirements. 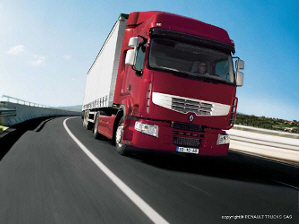 See the Renault Trucks web site for full details on their range of vehicles. Whatever your HGV requirements, from one-off orders to entire fleets, Aiken & Son can supply your needs. We offer the full range of Renault heavy goods vehicles, including the Midlum, Premium (Distribution and Long Distance), Magnum and Kerak. When it comes to LCV needs, Aiken & Son has the answer. 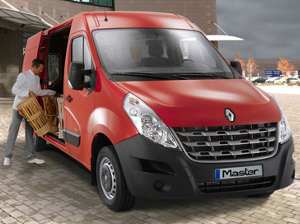 We supply the full range of Renault's light commercial vehicles, including the Master and the Mascott.